NovaBACKUP is a reliable and cost-effective way to back up your files, providing flexible backup and restore capabilities with safe and easy-to-manage controls. Its features include: Simple View Screen provides easy management and scheduling of backups with one click. Flexible and Automated Scheduling – set it and forget it. 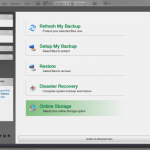 TimeSlider Restore Technology allows to view and restore all backup files in a single view. 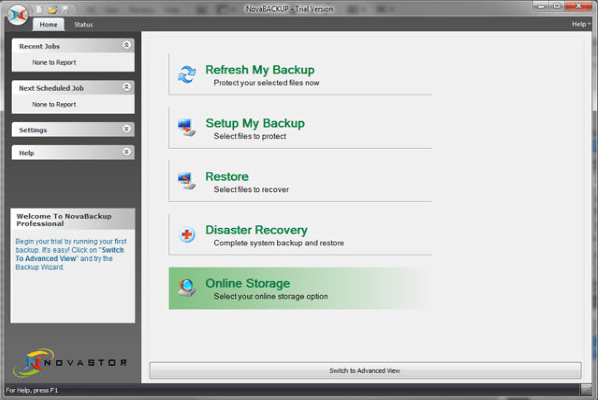 Local backup + online backup + file sync. 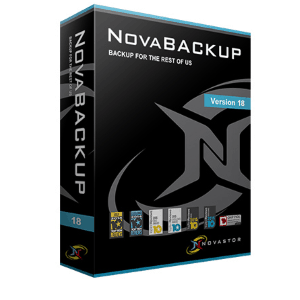 NovaBACKUP PC V18 provide powerful backup and restoration features , Novabackup perform 3 backup types full, differential, and most important powerful incremental backup (perform an automatic backup ) with Flexible Scheduler so Users can customize backup times and routines to suit their needs and the needs of their work environment. With novabackup simple installation and easy to use for experts and amateurs alike. 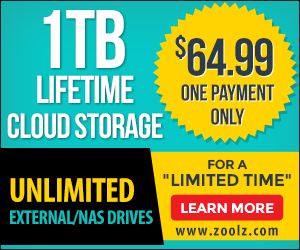 You can easily setting up your first backup job , to backup your files, folders, favorites , movies , music , address books registry keys and emails , or you can backup your entire system with complete disk image disaster recovery features and a bootable disk image. NovaBACKUP also provide an online backup so How, when, where should you backup your data? The choice is yours!, and that’s not all With the new timeSlider make Restore any file, from a single view, regardless of when or where the files were backed up! Also you can keep protected with novabackup Virus Protection which Integrated virus protection helps prevent the transfer of infected files before the backup occurs. Free updates are continually available for reliable ongoing protection. Novabackup is one of the best backup software in the market , needs some enhancement on the interface , and its Definitely worth every penny! My novastor back up caused me a major issue!!!! I made a back up of my storage drives to do some maintenance on them. Those drives had my lifetime work on it, personal documentations, important taxes documents, receipts… basically very important things. After I created a back up file, I double checked the size and double checked if it opens and runs. Did maintenance on my drives, reinstalled windows. Came to restoring the file and boom, it won’t work!!!! It runs for about 30 seconds as it’s recovering and then it just stops and either freezes or just never stops and runs like that forever or just give me a report “Error e001000b: The specified media could not be found. – Job processing failure”. I’ve contacted the support and apparently the company is in Germany and they only have one guy here in US who never got in contact back with me. The support from Germany never resolved anything, but forced me to buy an update on the program and after an update, support just said “Oh well, if file is corrupt, we can’t help you, you should always have an extra back up for youfself”. It’s not even a joke, this program is advertised as #1 rated back up system and its not just that program doesn’t work properly, they also charge you for it and miss-advertise so called “Support team” that doesn’t exist and doesn’t do anything to resolve the problem. I like how they say they will perform teamviewer session to take care of the problem. No matter how many times I requested for it, I never got an actual session. I do have all the emails for the proof if no one believes me!!! This messed me up so badly for my work, personal documents, it’s beyond explanation on how bad this is. Hi David, this is Sean over at NovaStor. I can assure you we have a full team of support engineers based here, in the USA, in Agoura Hills California (I can see them from where I am sitting! :). I’m not quite sure how you ended up with our German team (we have an ofice in Hamburg as well). It certainly sounds like you ran into some issues with your backup and restore. We are of course very sorry to hear that. It is difficult for me to offer a quick solution, recommendation or explanation of why this occurred without further detail. If there is anything we can do to assist you from this point, feel free to email me directly at partners@novastor. com with your case#, and I will investigate on your behalf. Sean, thank you for contacting me. In a mater of fact Nova completely stopped responding to my emails and I had to struggle with the taxes this year, because all my receipts and invoices were gone. I am glad that you are actually willing to help. I will email you in a few days with all the information and screen shots and problem I am getting.